It has become common knowledge that the landscape of higher education is changing rapidly. Prospective college students and their families expect world-class, rigorous instruction by dedicated faculty and expect that the college experience encompasses a diverse offering of extracurricular opportunities, suitable and modern on-campus living arrangements and access to state-of-the-art technology and facilities. This new generation of students has access to robust opportunities at both private and public institutions, further blurring the value proposition of a private college. Clearly, it is no longer enough to hire competent faculty and give them a classroom to teach in. Largely, this increase in students’ demand is met at the institution level or, as is the case for resource-starved colleges and universities, only partially met. While there is some degree of collaboration or scaling of successful initiatives, there is also a great deal of duplication of effort due to the siloed and highly competitive nature of higher education, even amongst institutions that share affiliation and have comparable missions, such as the Jesuit network. Similar to the structure of higher education, the Jesuit order was founded in a decentralized manner. Newly ordained priests were sent off into the world, encouraged to adopt the culture and habits of the local people and minister not from a superior position but from that of an equal. This approach led to an openness and authenticity that has become the hallmark of the Jesuits, widely thought to be inclusive and respectful of differing religions and opinions. Given this deeply ingrained belief of evolution and adaptation to both the current times and culture, coupled with the global Jesuit network, the system is well equipped to address the challenges that are facing both higher education and humanity. Coyne’s emphasis on continual evolution, particularly through the lens of technology, provides a focal point from which we can examine how technology may better serve the needs of higher education through evaluating lessons learned from other industries. - Uber: a ride hailing business whereby drivers use their own cars to offer rides to those that need a ride. Similar to a taxi but different because of the mobile app that allows users a more customizable experience. From the provider side, an Uber driver can choose where and when they want to work, allowing for an on-demand experience by both user and provider. - AirBnB: a home sharing business whereby those with a spare home, or a spare room offer it for rent on the platform to allow people to stay with them or book a vacation home while the owner is not using it. These examples are particularly noteworthy because they have disrupted well-established industries (taxis and hotels) and have overcome generations of parental instruction about the danger of accepting rides from an unknown person and perhaps perceived as even more dangerous, staying in the home of someone whom one has never met. Yet, the companies have managed to build a high enough level of trust that, not only are these applications growing but are thriving as demonstrated by the first quarter of 2015, where Uber claimed a total of 46% of all paid rides. During the same period, rides in taxis, limos and shuttles fell from 85% to 53% of all paid rides (Bender, 2015). The integration and current trends of technology are relevant as both current college students and many newly confirmed Ph.D. candidates who are seeking junior faculty positions are millennials. As the needs of faculty are examined and reimagined, it is wise to look at ways in which technology has disrupted other industries to provide relief to pain points at both the institution and faculty levels. At the forefront of higher education, is the faculty. Despite marketing materials boasting technology and facilities, it is the faculty of an institution that brings the technological tools and facilities to life. Faculty members are asked to both teach and research to fulfill their professional obligations and, at Jesuit institutions, are asked to provide a high-touch experience to the students in order to demonstrate their commitment to the Jesuit values of cura personalis and magis and to answer the call to be men and women for others. Therefore, the administration of Jesuit colleges and universities are also called to demonstrate a commitment to faculty members within those same tenets of cura personalis and magis and by doing so demonstrate a commitment to their affiliation to the Jesuit order. Junior faculty have unique challenges, namely the push to produce high quality research that can be published in respected and ranked journals. Concurrently, they are still developing an effective and authentic presence in the classroom and are interested in learning new pedagogies to support and engage their students. Many are also at the age where they have pressing personal issues, a struggle with work/life balance, and new and growing families. The tenure-track, in particular, requires a firm commitment to research excellence and exceptional classroom instruction. These pressures are not often dealt with effectively at their institutions and many become work-fatigued due to lack of broad-based support; including mentorship opportunities and faculty learning communities. While the plentiful needs of junior faculty are well-documented and research indicates that external networks are a particularly effective way of meeting these needs, intuitive platform technology does not currently exist to meet the needs on a global scale. This can be addressed by understanding the ways in which platform technology has disrupted and bettered other industries, as well as the lacunas that need to be filled to holistically address the needs of faculty at Jesuit colleges and universities. 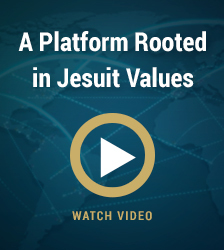 Viewed through this lens, the path seems clear and the proposed answer is a new platform that builds community among faculty at Jesuit institutions around the world. The words of St. Igantius remind us the Society of Jesus must “suit itself to the times and comply with them, not to make the times suit themselves to it” (Schwickerath, 2013 p.9). In collaboration with the Global Jesuit Case Series, the International Association of Jesuit Business Schools, Colleagues in Jesuit Business Education, the Association of Jesuit Colleges and Universities and more than twenty individual institutions that have donated both time and financial resources, we are pleased to present IgnitEd (Ignite + Education) to the global network of Jesuit institutions. We invite you to join us by sharing and using curriculum, registering for conferences and searching our database for likeminded colleagues for networking and research collaboration purposes. IgnitEd will enable us to work loosely together towards the furtherance of our common mission and values by creating shared space where all programs and initiatives within the network are housed. Resource-strapped institutions will benefit by gaining access to curricular and professional development tools already proven successful at the micro-level at other network institutions. IgnitEd is a mutually beneficial platform allowing each individual organization to maintain their brand identity while still being part of a larger entity designed to meet varying needs. For example, a user may come to the site to register for a conference, but while there, realize that there is curriculum hosted on the site for use in the classroom. A platform that offers a variety of ways to engage also increases awareness of each individual school or organization while showcasing the impressive efforts of the network as a whole. For accrediting and tenure application purposes, IgnitEd can provide analytics to demonstrate impact of submitted curricula and offers a generous 50/50 split of any sold objects. Like all new platforms, IgnitEd is dependent upon both creators of content and users in order to fulfill its mission to serve faculty, administrators, students and alumni at Jesuit institutions around the world. In addition to case studies for the Global Jesuit Case Series, we welcome submission of individual curricular exercises, books, etc. and can just as easily provide the technology to support entire centers and organizations. Finally we welcome conferences held at Jesuit colleges and universities to use our robust conference management tool that can handle every step of academic conference management. 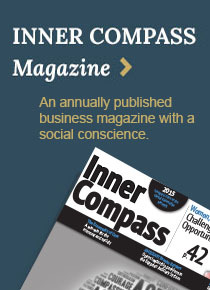 Please visit our website at Ignited.Global to learn more about ways to engage. It is our vision that IgnitEd will answer this call. Schwickerath, R. (2013). Jesuit education: Its history and principles viewed in the light of modern educational problems. (p. 5-17) Worcestershire, United Kingdom: Read Books Ltd.